It’s no secret that the keto diet is one of the best ways to lose weight these days. Not only does this low carb, high fat diet help diminish your waistline, it also offers amazing health benefits like lowered blood sugar levels, increased brain function and a boost in the good cholesterol. One way to make keto recipes even healthier is using almond flour instead of wheat flour. Keto almond flour recipes are healthy and delicious, offering a range of benefits for weight loss. What is Almond Flour and Why You Should Use it On the Keto Diet? Almond flour is a great low carb flour substitute. It’s gluten-free, low in carbs, and high in fiber, protein and fat, which makes it ideal for anyone on the keto diet. The only ingredients in almond flour are ground, whole almonds with the skin removed. Almond flour is rich in nutrients, specifically vitamin E, which increases the antioxidants in your body. It’s also high in magnesium, which offers a range of benefits to your body from improved blood sugar control to lower blood pressure. Almonds are also a great source of protein and are beneficial for heart health and lowered cholesterol. The keto diet is definitely having a moment in the health and weight loss realm. When you increase your intake of good fats, you feel full for longer and your body becomes more efficient in fat-burning. It’s a great diet to try if you haven’t had luck with other weight loss programs or have found you’ve hit a weight loss plateau. If you’re finding your weight loss plan doesn’t seem to be working out anymore, the high fat, low carb keto diet may just be the thing for you. The whole goal of the keto diet is to get your body into ketosis, a normal metabolic state where your body creates ketones. When your body doesn’t have enough carbohydrates from your food to burn for energy, it burns fat instead. The keto diet not only benefits your physical body, but your mental state as well. It can help your brain get more clear and focused, increasing your productivity and mental performance. Almond flour has plenty of benefits that make it an ideal substitute to wheat flour. One of its main benefits is that is helps increase your energy. Since it’s a rich source of carbohydrates, it can boost your energy, rather than deplete it like the simple sugars found in wheat flour. The elimination of simple sugars also helps regulate the release of insulin and glucose in the body, which can decrease your risk of diabetes. Almond flour also helps fill you up faster, preventing overeating and helping you lose weight faster. Not to mention, it can decrease your risk of cancer and other diseases due to its high antioxidant content. Since it’s so high in fiber, almond flour aids your digestive health and also assists the recovery process throughout your body. In most cases, you can simply substitute almond flour in any recipe that uses wheat flour. Almond flour will make the finished product more flat and dense, since the gluten in wheat flour helps dough stretch and rise. It’s a small price to pay for the benefits of almond flour, and it tastes just as delicious. From keto bread and keto pancakes, to cinnamon twists and lemon Danish pastries, dig into these keto almond flour recipes! If you’re looking to bake with a healthy substitute to wheat flour, these keto almond flour recipes are just what you need in your life. Try them out the next time you’re on baking duty! 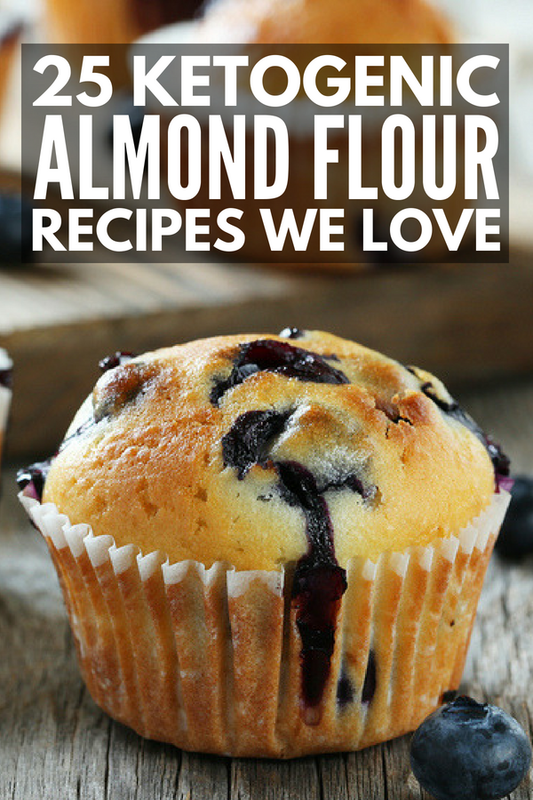 If you loved this post on keto almond flour recipes, please share it on Pinterest!